The 3 Tools for Making Matcha! I am really happy with this month's Kathy's Matcha Chat video (episide 4) because I really get back to basics when it comes to matcha. Today I share the three main tools you can use for making matcha. And when I say 'matcha,' I mean both traditional matcha tea (water + matcha) or a matcha latte. 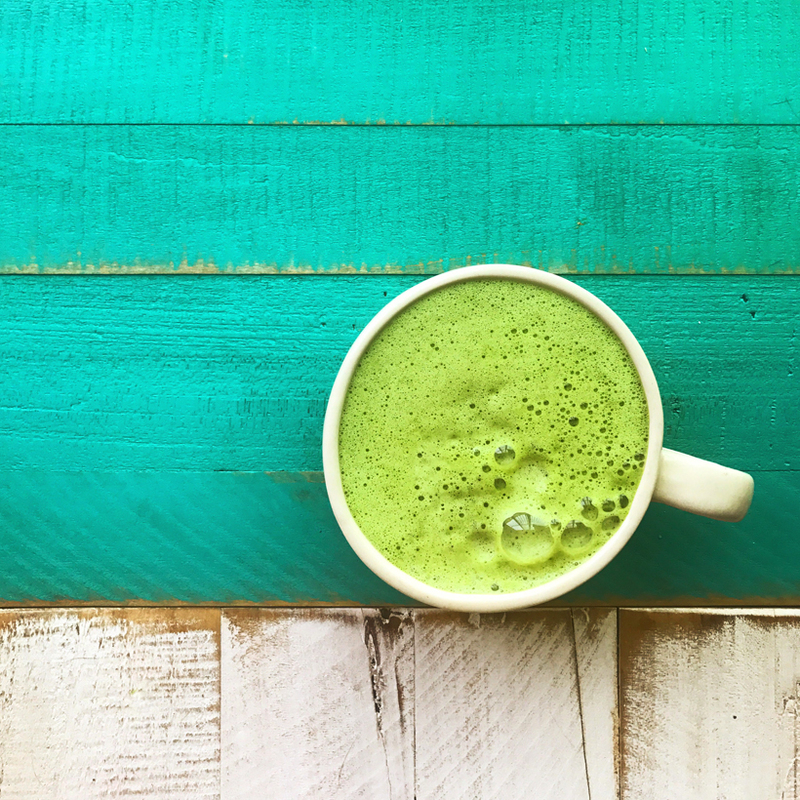 I will also share my go-to matcha latte recipe (the one I use every day) and also our monthly giveaway is ahead. 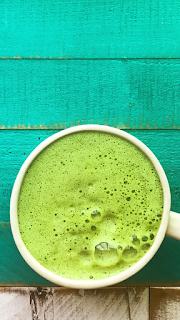 (I also share a pretty matcha iphone wallpaper image)..
1. Bamboo Whisk. This is the most traditional way to whisk your matcha. The whisk is made from bamboo and is super light and doesn't require any batteries or plugs to use! You could literally use this out in the woods on a camping trip. To use the whisk, you do not 'stir' in a circle direction like a spoon. You briskly whisk in an up and down "I" shape so that tiny bubbles form and whisk the powdery matcha and liquid into a smooth tea. The bamboo whisk effectively breaks up any clumps of the matcha, when used properly. The whisk creates a very subtle 'foam' when making a latte. 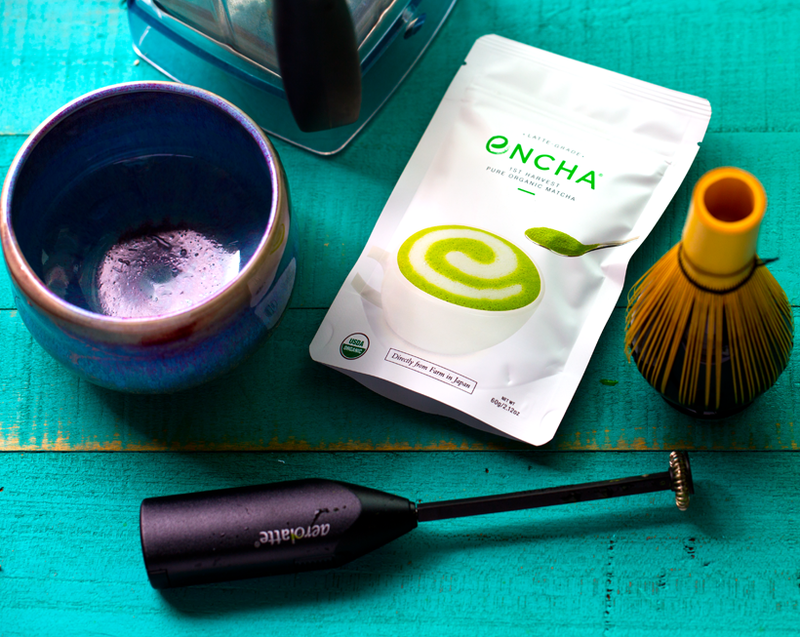 Check out Encha's starter pack, which includes the whisk. Or snag this cute green whisk set on Amazon. 2. Frothing/Foaming Wand aka AeroLatte. This is sort've like the battery-powered version of a bamboo whisk. This tool effectively breaks up any matcha clumps and dissolves well. It also creates a pretty nice, bubbly foam. The only two drawbacks to this device: it only has one speed so it can be way too powerful for a small amount of liquid or if blending in a small cup or matcha bowl. It splashes very easily if you tilt the wand in the wrong direction. And you also have to worry about the batteries running out. Or the machine breaking. Aerolatte on Amazon. Frother note from the video: The black wand cover in the video is supposed to be removed before blending, just to be clear. 3. Blender. 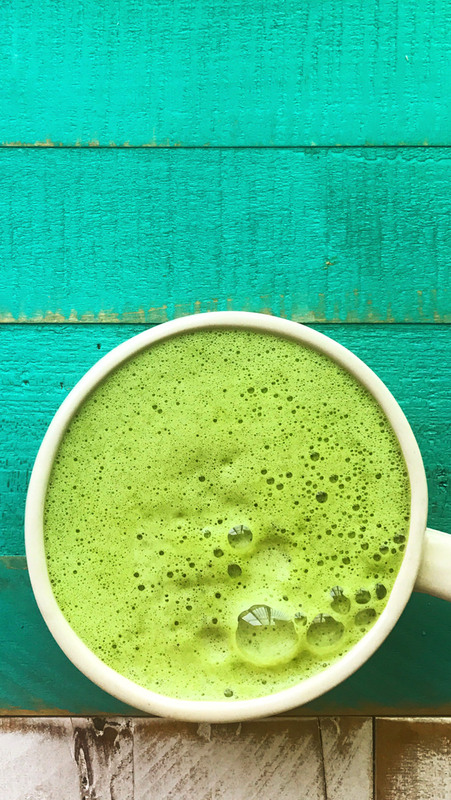 The blender is easy for making a matcha latte because you just toss all the ingredients into the blender and blend from low to high for a few seconds. Pour and serve. I personally use the blender method most often. I love the foam it creates. The only drawbacks: 1) you have to be in your own kitchen since you need a big blender. 2) Blenders are not cheap! Especially if you want a Vitamix, which is what I use. 3) You have to clean the container after blending. you also want to clean it well with white vinegar and baking soda because over time, I have noticed, the matcha can stain the blender container if you are not careful. Snag a Vitamix or learn more about mine, here. My favorite tools: I love the blender, just for its ease and the foam it creates and also because it is the least messy for me. I find that when I use the handheld tools, I always end up splashing in the matcha bowl a bit. I prefer the bamboo whisk over the AeroLatte, simply because I love the idea of using all traditional tools when making a matcha. It feels very meditative to me and I like that the matcha isn't touching any metal during the preparation. Just bamboo and my matcha bowl! If I make traditional matcha tea (just water and matcha) I always use the bamboo whisk. * Bamboo scoop: nice to have, but not necessary. I usually just use a small spoon to measure out my matcha, but both work. The scoop is prettier and more traditional. So if presentation is important to you, grab a bamboo scoop. * Matcha bowls or Mugs: I am in love with my Encha Galaxy Matcha Bowl. I also love my two smaller bowls with cherry blossoms on them, also from Encha. I either use a matcha bowl or one of my extra large round mugs. All my matcha mugs are made from reputable companies - a few years ago I went through my coffee mugs and stored or donated any mugs made in China or that just seemed to be coated in too much colored paint. Since I do use my microwave, I am always paranoid about anything leaching from the mug into my drinks. I'm not obsessive about it, I just like to be conscious about where my plates and mugs come from. * Encha Flow: This is a beautiful tool for pouring warmed milk into a matcha bowl or mug. I don't use it everyday, but if I have guests or want a beautiful serving presentation, I use this. Encha Flow Set. Do I Need to Add Water? In my video for the tools you will probably notice that I blend the matcha with just-under-boiling water, then add the warmed milk. This is one method. However, if you just want a super creamy latte, you can use all milk. (And by "milk," I always mean non-dairy milk! Always the preference for a matcha latte - even if you are not vegan.) I love a blend of soy and almond for my lattes, and on most days I do not add any water. And of course, traditional matcha is just blended with that under-boiling water, no milk. My process: I warm the mixture of almond and soy milk in a mug in the microwave (or if I am feeling fancy, I will use my stovetop). Then I pour the warmed milk (I like my milk to be VERY hot) into my Vitamix. Turn it on low, add 1-2 tsp Encha Organic Matcha (Latte or Ceremonial Grade), add a few drops of peppermint extract and 1-2 tsp of sweetener (to taste). Then I blend for 30 seconds, pour and serve. This is the matcha recipe I use every day! I love a hint of peppermint in my matcha latte. I love soy or almond milk, but usually use a blend of the two. And for sweeteners, I love apple honey, coconut sugar or even agave syrup. * sweeteners: coconut sugar, agave syrup, maple syrup, apple "honey" or even real honey if you consume that. Warm the milk in the microwave or on a stovetop. I usually do microwave. I like my milk steamy hot, so I do 3 minutes. Pour the hot milk into blender container, turn on low. While it is blending, add the matcha, peppermint and sweetener. Blend at a slightly higher speed, maybe a 3, then turn off blender. Pour into your serving mug and enjoy! Encha Matcha is now on Amazon! So great for ordering ease. Enter the monthly giveaway below! Come back next month for a new giveaway!.. Also check out Encha on Instagram for some beautiful matcha-spiration. disclosure: This series is sponsored by Encha Organic Matcha, but all opinions are my own. This post also contains affiliate links.